Sonia Rolt – known to many on the canals simply and affectionately as ‘Sonia’ – died peacefully in hospital on 22 October, after a short illness at the age of 95. 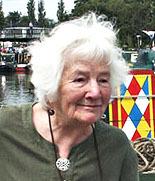 Her death has meant the passing of the last of the Idle Women who was still actively involved with the canals. In her 96th year, Sonia attended the Hay Literary Festival in May, where the 70th anniversary of her late husband Tom Rolt’s great work, Narrow Boat was celebrated in style. 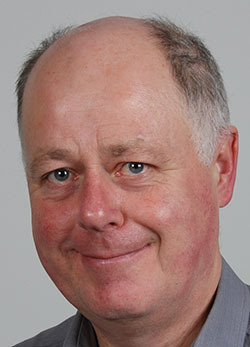 The Chairman of the CRT Tony Hales was amongst the many in attendance. Hales then made a videoed interview, which is a fitting testament to her. Then as late as August, Sonia gave an interview to Canal Boat magazine for its back page ‘Twenty Questions’ which appeared in its November issue. For those who knew her, her energy and passion for life never ceased to amaze, and remained with her almost to her end. Her first husband, the boatman George Smith, with whom she was married from 1945 until 1951 also died recently, in 2012, aged 97. His death ironically also removed another link to the canal past. Born in 1915, he was then probably the last boatman with active memories of post-WWI horse-boating with his father on the BCN, and the General Strike of 1926. He was also one of the few boatmen who still had memories of working the boats as an adult in WWII. Like Sonia, his mind remained clear, almost to his end, and even in his 96th year he attended the opening of the Braunston Historic Narrowboat Rally, insisting on joining the opening parade on President and then telling the captain how to steer the boat! However Sonia was reticent in speaking more than generally about those days, and never specifically about how she met and later married George Smith on 1st September, 1945, and for six years became a full time boatwoman, nor about how things fell apart. Despite her considerable literary skills, she never wrote about those days. Sonia is also remembered for involvement with and later her marriage to the author Tom Rolt. Just when they met is questionable. 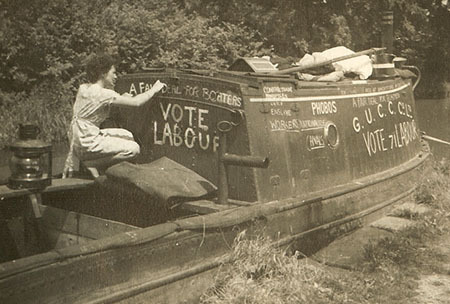 Tom had co-founded the Inland Waterways Association (IWA) and was keen amongst other things to help save canal carrying and improving the lot of the working boatmen – something Sonia was already committed to, having campaigned for this in the 1945 July ‘khaki’ General Election. Sonia in about June 1945 drawing political slogans on the cabin of her GUCCC motor Phobos. It was her political activism that attracted her to the newly founded IWA as being able to give articulate representation for saving canal carrying and improving the lot of the working boatmen. It was through her time on the IWA committee that her relationship developed with the canal author and co-IWA founder Tom Rolt. He invited her to join the IWA committee which met in the winter months at co-founder Robert Aickman’s flat in Gower Street, London, where a deep friendship developed, a world away from her life on the canals with the working boatmen. In 1951 Sonia left George and the canals for her new life with Tom. Their combined energy was extraordinary, and the first major project was saving the Talyllyn Railway, when they lived in a caravan for the first re-opened season, with Tom driving the trains and Sonia manning the ticket office. And there were many other incredible achievements. Though Tom had almost left the English canals, and there is only one record of a later visit which was to the Pontycysyllte Aqueduct, he did continue to write extensively about them, including his Landscape with Canals, published in 1977, which covered his canals years up to 1951, but in which Sonia surprisingly did not receive a single mention. He also wrote books on several other subjects, writing 41 books in all. He lived almost solely off his writings, in which he had the full and attentive support of Sonia. Tom died in 1974, after he and Sonia had been together for a mere 23 years, and she was only 53. She dedicated her remaining forty years of life working for the causes they had been involved in together. 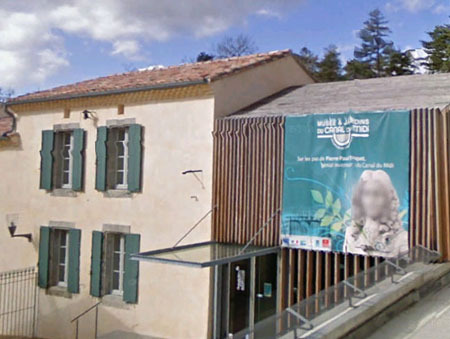 A change was to happen to Sonia’s life in 1993, when David Stevenson, who was Chairman on the IWA from 1989 to 1994 (the president of IWI from 1997 to 2000) persuaded the Council of the IWA to reinstate as honorary members a number of former members who had been thrown out by the at times Putinesque co-founder Robert Aickman. One was Sonia, and she responded with conciliatory glee, and she was soon made a Vice-President, and was very much in demand. Sonia made many friends on the canals, not only in Europe, but also North America and Australia. Amongst her tributes was one from her good friend Tom Grasso, President of the Canal Society of New York State: ‘She was the First Lady of the English canals’. I had the distinct pleasure to attend a commemoration ceremony in Rochester, N.Y. on Friday, June 22, 2012, where a new park building was named after our former president (and current vice-president) Tom Grasso. 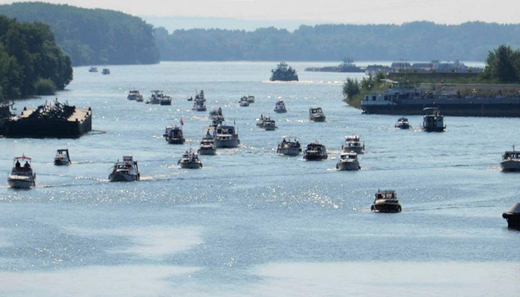 In her speech Maggie Brooks, Monroe County Executive, hailed Tom Grasso as a ‘statewide leader in the preservation of the Erie Canal and […] strong advocate for revitalization efforts of the canal throughout our community. It is fitting that our County Park System’s newest lodge, which was inspired by structures found along the Erie Canal, will bear his name and honor his legacy’. There were many colleagues, family members and friends at the event under a sunny sky to see Tom and his grandchildren cut the ribbon. The lodge, for those not familiar with this type of building, is a multi-use building for rent that can accommodate up to 99 people. 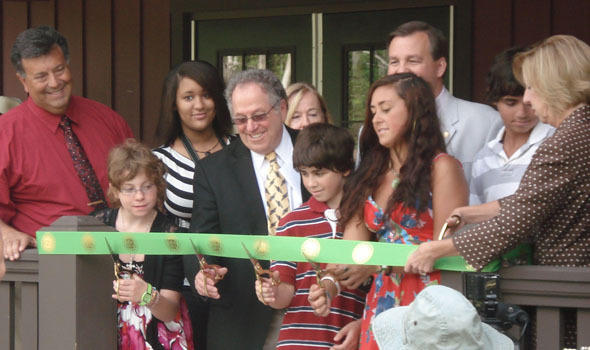 This particular building is the first of its kind in the Monroe County Park system to incorporate geothermal heating and cooling, while also providing air conditioning for summertime rentals. It also includes first-class amenities, such as a gas fireplace, stainless steel appliances and a covered outdoor area. The architectural design firm, Architectura P.C., recently won an AIA-Rochester design award for the lodge. 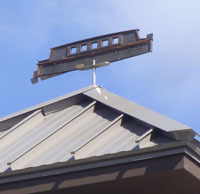 The crowning piece of the lodge is the Canal boat weather vane on its peak. Larry Staub, Monroe County’s Director of Parks. further defined the importance of the event and stated that ‘having the new lodge named for Tom Grasso is a lasting tribute to a man who has devoted so much of his life to educating us about the Erie Canal and its importance to our community’s past, present and future’. So IWI’s past president and Council member has been formally recognized in his community for his tireless work promoting and protecting the Erie Canal which is such a valuable resource to Rochester and New York State, and in turn an important contribution to the world of waterways and canals. Congratulations Tom and also Monroe County for recognizing the importance of its canal, its history and its citizens who are involved with the Canal. The Thomas X. Grasso Erie Canal Lodge in Rochester, N.Y.